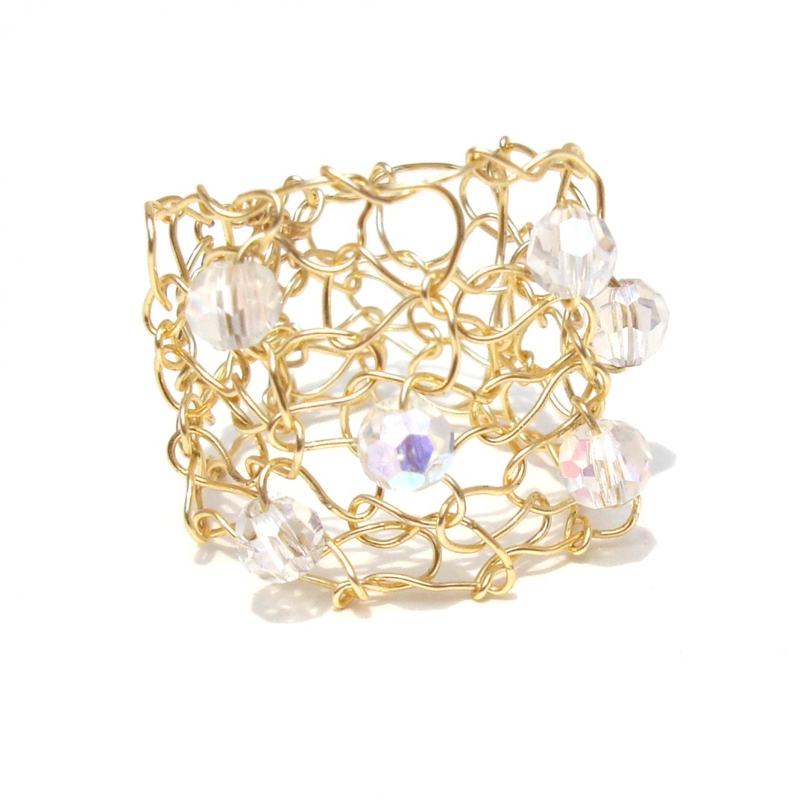 This sweet gold wire knit ring goes with everything! It is delicate and feminine - yet makes a satement on your finger as they are so unique! This gold ring contains aurora borealis crystals that sparkle and shine. Please indicate US whole ring size when you check out - thanks for stopping by!